Originally published in 1611, the King James Bible (KJB) remains the most recognizable piece of literature in the English-speaking world today. For over three centuries, it served as the standard English Bible and has, as such, exerted unparalleled influence on English and American culture in nearly every sphere—including education, law, literature, government, art, science, and religion. 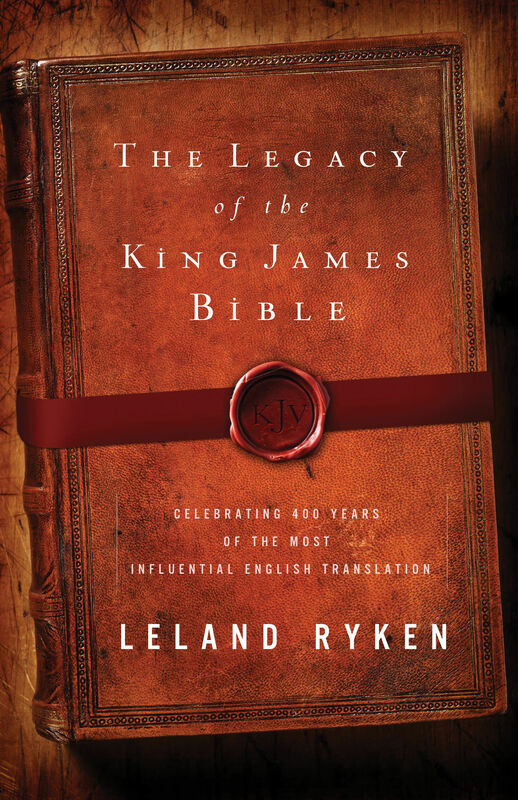 The Legacy of the King James Bible honors the 400th anniversary of the KJB’s publication by telling its story—a drama that starts with the pioneering work of William Tyndale and progresses through half a dozen other popular translations. Leland Ryken, an expert on the Bible as literature, explores the excellence of the King James Bible by examining its status as the climax of a century of English Bible translations, its impression on the subsequent history of Bible translation, its inherent literary excellence, and its overall impact on English and American literature and culture. The Legacy of the King James Bible will shed new light on the depth of the translation’s merit and influence and offer insight as to what its role may be in the next 400 years. Leland Ryken (PhD, University of Oregon) served as professor of English at Wheaton College for nearly 50 years. He has authored or edited over fifty books, including The Word of God in English and A Complete Handbook of Literary Forms in the Bible. He is a frequent speaker at the Evangelical Theological Society's annual meetings and served as literary stylist for the English Standard Version Bible.